Everywhere you lay your eyes on, you can see furniture, shelves and cabinets that are made of plywood. Without any doubt, plywood can match the beauty of other materials out there and, aside from that; it has an important place not only in completing our projects but in our lives as well. With today’s quite declining economy, it does not mean that we already have to settle on anything less than the best because it was cheap because people from all walks of life can also afford a high quality plywood product. 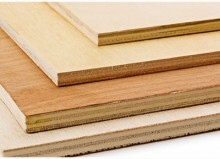 Plywood is a very essential material in building houses and other construction projects. With the proper sanding as well as finishing, any project that you will use plywood on will certainly look strong, elegant and fabulous. Another advantage of using plywood in completing your product is that it is also available in a wide variety of sizes and widths which are not available in the other materials or normal woods that you can find in the market. With this attribute, you are guaranteed that your wide project will be much easier for you to handle and complete. It does not shrink or crack easily, unlike most of the wood products that you know. Most of the people out there start off on their plywood project because, usually, they would end up with extra sheets of plywood after the construction project. With this fact, it is always better to set plans first with your plywood project so you can turn the few extra sheets into some useful ideas for home and entertainment. There are also many types of it and each type varies on its particular usage as well as the materials composition. 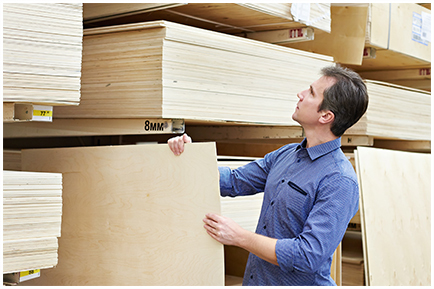 When you know how to find the right plywood that will best suit your project, needs, or applications, you will surely have a fun while saving money at the same time.